Up next in my series on middle grade books that reflect the immigrant experience in the US is a middle grade historical fiction debut from author Jeannie Mobley. I read the advanced reader’s copy this summer and adored Katerina (“Trina” to her friends and family). The book has just been released in stores, and has already received two starred reviews from Kirkus and Publisher’s Weekly. 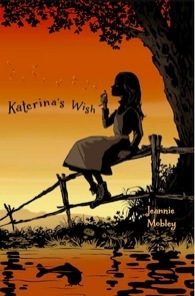 Today I’m thrilled to have author Jeannie Mobley here to talk about ways that Katerina’s Wish can be used in classrooms and libraries to connect with students and the curriculum. From the author’s website: Katerina’s Wish tells the story of a Bohemian family who comes to America in 1900, hoping to work a year in the coal mines of southern Colorado and then buy a farm. After a year, they discover they have no more money than they came with, and much less hope. Then young Trina sees a strange fish and remembers the folk story of a carp that grants wishes. When her sisters make wishes that come true, Trina makes the biggest wish she can, for a farm in America. But is a wish enough to fill a dream so big? Biblio Links: Welcome, Jeannie, and congratulations on the release of Katerina’s Wish! A student walks into my library and I think, That kid needs a copy of Katerina’s Wish. Who is this child? Biblio Links: The Middle Grade me would have loved this book, too! If we were to peek into a classroom where a teacher is using your book in a lesson or with a small group, what might we see? a society, keep coming back to many of the same issues repeatedly in our history–things like immigration, racism, labor movements, stereotypes of other ethnicity or nationalities. Sometimes, it is easier to talk about these issues by viewing them in a different, less politically or socially charged context. KATERINA’S WISH is set in 1901, but deals with many of these issues that contemporary people deal with, and I hope could start some of these conversations that have relevance both in understanding our history and understanding the situations we face today. I think the book could also be used as a tie in to history lessons, math (there is a lot of discussion of prices for goods throughout the story), and in creating an interest for students in their own family histories. After all, we here in America, are largely a nation of immigrants. Whatever the lesson, I would hope you would see students excited to learn about the past and inspired to talk about the social issues that are so ingrained in the American experience. Jeannie Mobely: My website (www.jeanniemobley.com) would be a great place to start. I’ve got an FAQ there that tells a little about the book and why I wrote it, but I always welcome other questions from teachers and readers through the email contact there. I also have some ideas to inspire writing, and a detailed teachers’ guide to KATERINA’S WISH that includes discussion questions and activities across the curriculum. But of course, the best way to learn more about my book, is to read it for yourself! 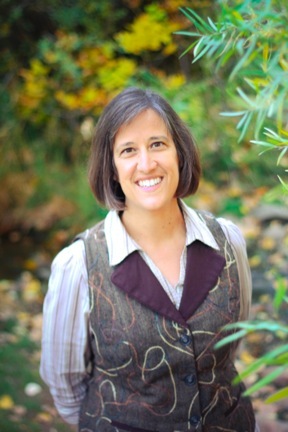 Biblio Links: Thanks for stopping by, Jeannie! Thanks to Teach Mentor Texts for hosting today’s What Are You Reading? Thanks to Shannon Messenger for hosting Marvelous Middle Grade Monday! This entry was posted in Bohemia, celebrating differences, coming-of-age, family, friendship, Historical Fiction, hope, immigration, middle grade books that reflect the immigrant experience in the US, middle grade fiction, poverty, siblings and tagged 19th century, hope, immigration, Jeannie Mobley, Katerina's Wish, legends, myths and fables. Bookmark the permalink. It sounds like a good book for those readers who love a good story, & want a little magic thrown in too. Thank you for the interview, & for sharing about this new book, Natalie. Congrats to Jeannie! I just saw this at B&N yesterday, and it’s the first I’d heard about it. I so, so wanted to buy it, but my book budget was busted for the month, so next month it is! This is new to me. While I’m not a kid, I still love dreaming of the past and fairy-tale elements! Thanks, Natalie, for having me. I am so glad there are librarians and teachers like you out there in the world who are so passionate about getting the right books into the hands of the right kids! Jeannie, thank YOU for stopping by and for writing such a lovely book! This sounds absolutely lovely. It’s the kind of book I would have adored as a 10-year-old. Congratulations, Jeannie! This sounds like a fabulous book. I loved the cover right away. I am so glad you introduced me to this book. I definitely want to read this one! The cover is evocative, isn’t it?? So glad to have introduced Katerina’s Wish to you, Jess! This sounds like a great book, and the cover is beautiful! Thanks for sharing and introducing us to the author! It *is* a lovely book. 🙂 Thanks for stopping by, Julie! I am looking forward to reading this one,I must say. Love the cross curricular suggestion for math! There are lots of connections teachers can make with KATERINA’S WISH, Deb. I love books like this that connect to the curriculum in various ways. Thanks for stopping by, Deb!